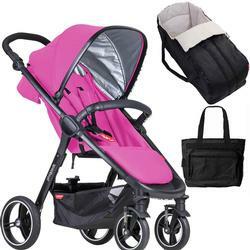 Smart is compatible with the parent-facing, soft-shelled carrycot, which provides an even more intimate one-on-one bonding experience with your baby. Smart is infant car seat compatible (with adapter sold separately) and works with popular infant car seats including the phil&teds alpha, Mountain Buggy protect, Maxicosi Mico, Cybex Aton, Graco Snugride, Chicco Keyfit and Graco Click Connect. Available in 4 pop colors, smart is a compact & ready-to-go city solution, making phil&teds smart the first choice for parents with one child. 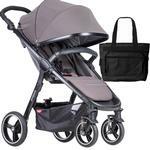 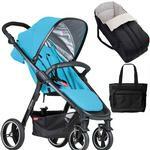 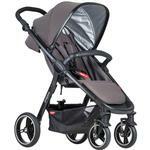 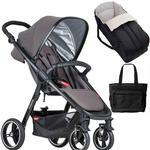 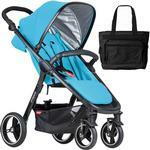 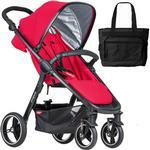 Include: Diaper Bag and Cocoon Baby Carrycot.